needles and lemons: Hey Ho Sailor ! 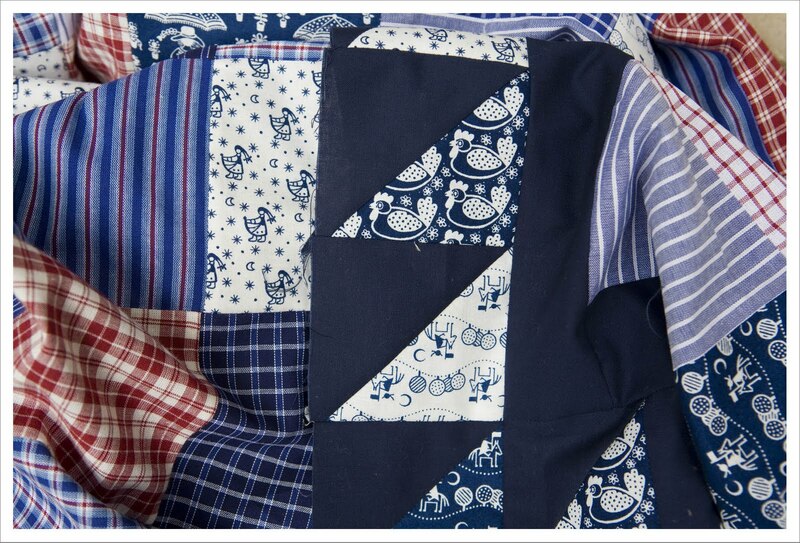 Well, that is how I am going to call this new quilt. 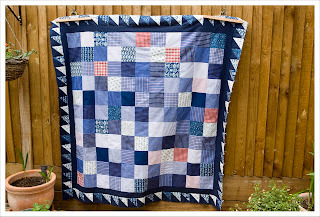 The Westfalen fabric I used for this quilt (and posted about here) reminds me of clothes that is or was worn by sailors and fisherman. I in fact in North Germany is where you see a lot of it worn by fishermen. 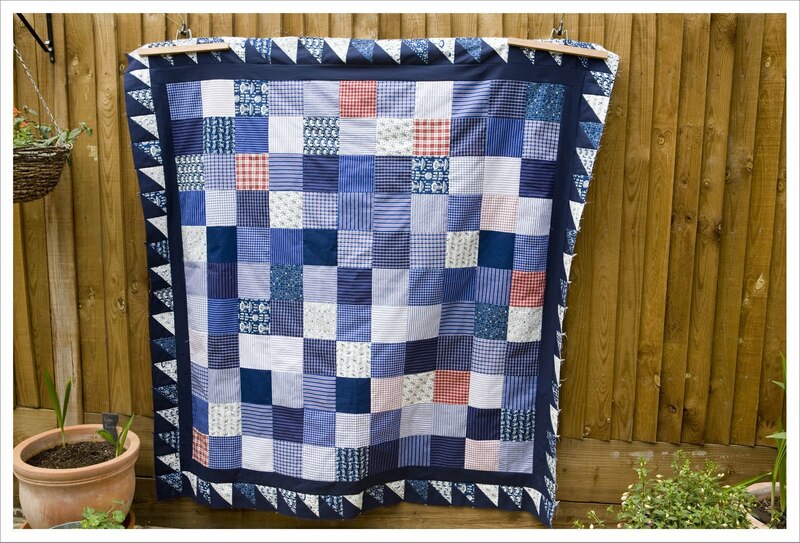 So I keeping singing to myself 'Hey Ho drunken sailor...' all the time but really don't think I can call the quilt something with 'drunken' in it. Mind you, Denyse Schmidt does it with one her patterns.... I'll have a think about it. Anyway here are the pictures of the finished top. When I started laying it out on my floor this week I wasn't convinced at first as I thought it was to dark somehow but over the last days everyday time I walked past it, it grew on me. So much so that I was amazed when I took the picture earlier at how beautiful it is. Sometimes one needs a bit of disctance to appreciate ones handywork and that is best achieved with a photo. Quilting will commence imminently ! Ohhh how lovely. 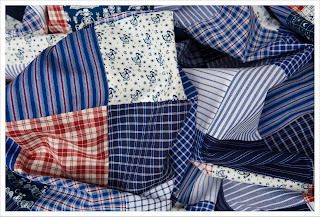 I lust LOVE the color combo Red-White-Blue and I'm making a quilt for my bed in the same color combo, also with Westfalen fabric! 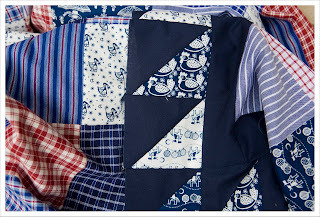 You should enter this in Blogger's Quilt Festival. It is really lovely. I just love the little touches of red to balance out the abundance of blue. Beautiful quilt. It looks lovely, and does have a rather nautical air - especially the triangles, which are reminiscent of the flags fluttering from the rigging on boats.